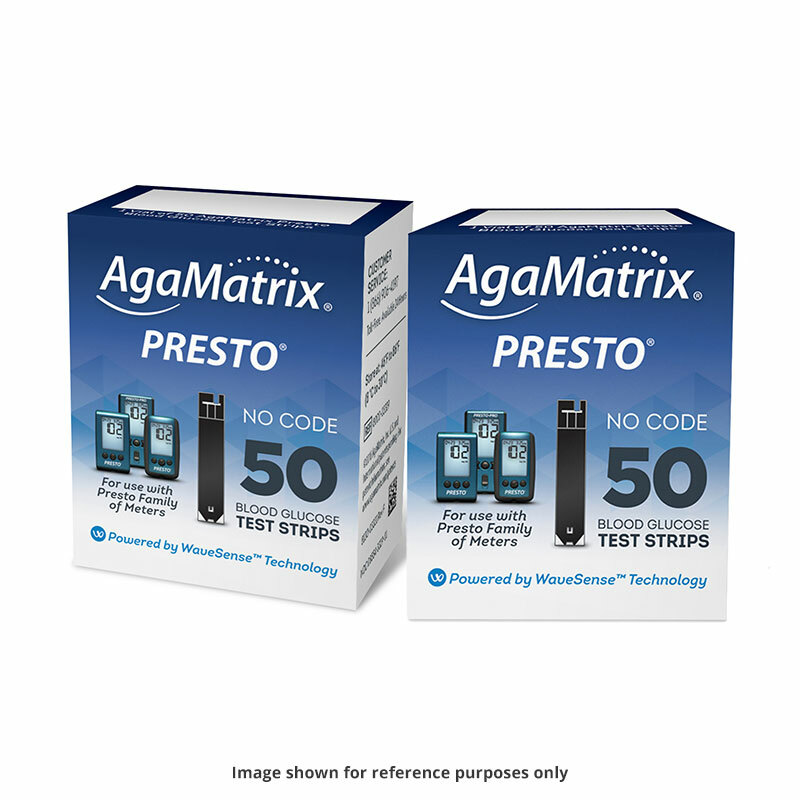 The AgaMatrix Presto No Code Test Strips 50ct Case of 24 are for use with the AgaMatrix Presto and Presto Pro Blood Glucose Monitoring Systems, and provide fast, accurate results. Give your fingertips a rest with alternate site testing and small sample sizes! 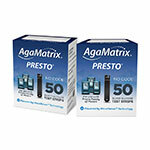 Case of 24 Boxes (50/bx). 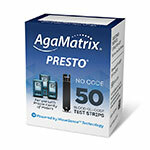 AgaMatrix Presto Blood Glucose Test Strips 50ct Case of 24 are for use with the AgaMatrix Presto and Presto Pro Blood Glucose Monitoring Systems, and provide fast, accurate results. 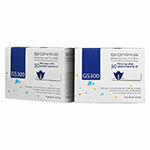 Give your fingertips a rest with alternate site testing and small sample sizes! 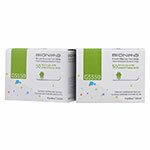 Case of 24 Boxes (50/bx).